"The Home of The CFC Grand Slam of Golf Sponsored by Marshall Insurance Agency, Inc"
Founded in 2003, CFC Golf has continued it's annual tradition of hosting their annual golf outing, The CFC Grand Slam of Golf sponsored by Marshall Insurance Agency. We have captured the spirit of CFC Golf in our photo album... well the ones that won't incriminate or assist in any ongoing investigations of our fellow CFC members. View the complete list of all our "CFC Golf Champions." Some have found their way to the top multiple times, while for one golfer, he will forever remain under protest. CFC Golf was founded in 2003 by three bold pioneers from Bates College; Dave Trull ’80, Dr. Nicholas Kofos ’80½, and Dave Mended "Honorary". The three met for a hearty breakfast at the legendary Cole Farms Diner, then enjoyed 18 holes of great golf across the street at Spring Meadows Golf Club. This became an annual event and later called the CFC Golf Classic. 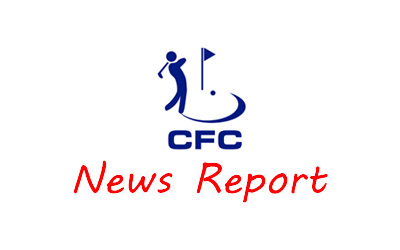 Since 2003, CFC Golf has expanded their annual tournament into four events called the CFC Grand Slam of Golf. The four events that make up the CFC Grand Slam of Golf sponsored by Marshall Insurance Agency, Inc are The Saints Anargyroi Tournament, The CFC Golf Classic, The Ahepa Chapter Tournament and The CFC Frostbite Masters. With access to the top-rated insurance companies in the industry, Marshall Insurance Agency, Inc. assists in finding the most comprehensive and cost effective insurance for your Home, Auto, Business or Life Insurance needs. At Marshall Insurance Agency, "we ensure peace of mind one customer at a time."